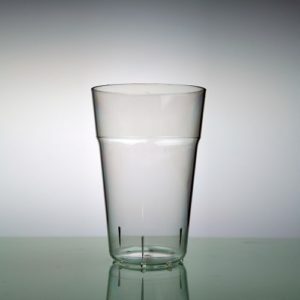 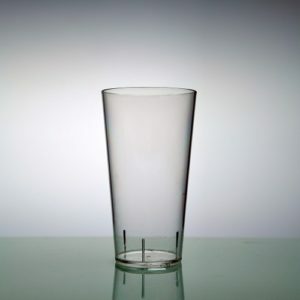 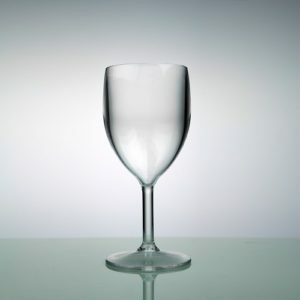 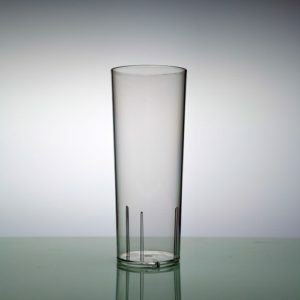 This glass is made of a COP (Tritan-copolyeter) unbreakable, dishwasher-proof, reusable for many times and 100% recyclable. 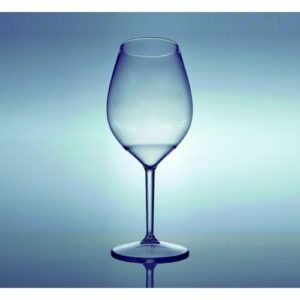 Our glasses are also available in different materials such as PC (Polycarbonate), and a much softer material PP (polypropylene) and also available in different colours such as solid, transparent or fluorescent colours. 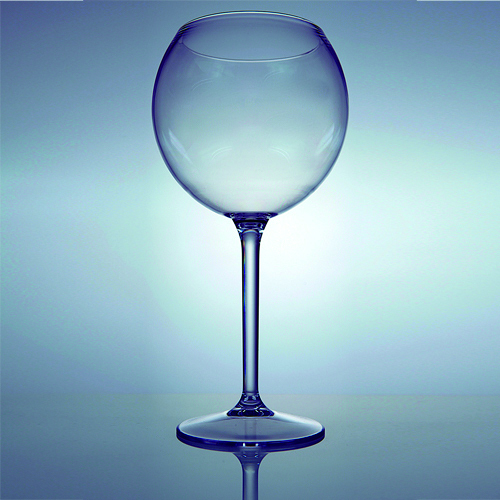 The minimum order quantity for such versions is a 1.000 pieces. 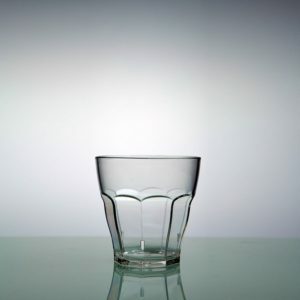 please contact us for more information such as delivery times and available colours.